Abde Acorn — abde . 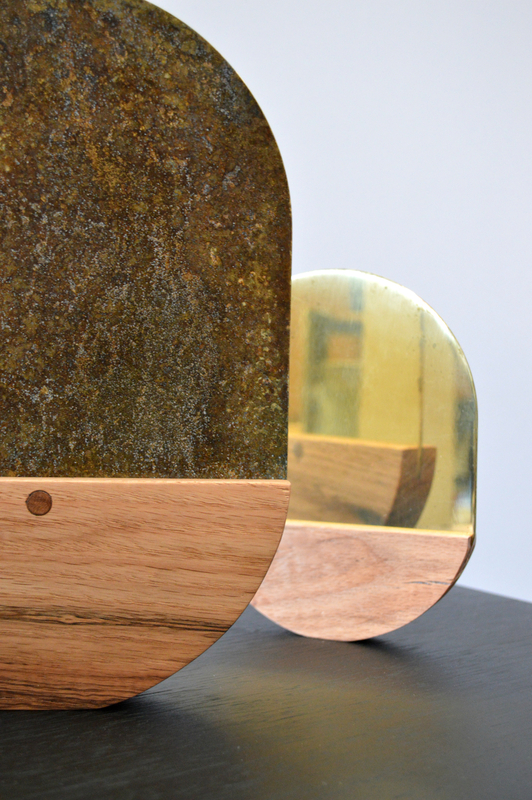 Most materials will oxidize in nature if left unprotected, producing a random yet eye catching patina. But what happens when you can force that aging process? What happens when you can control it? 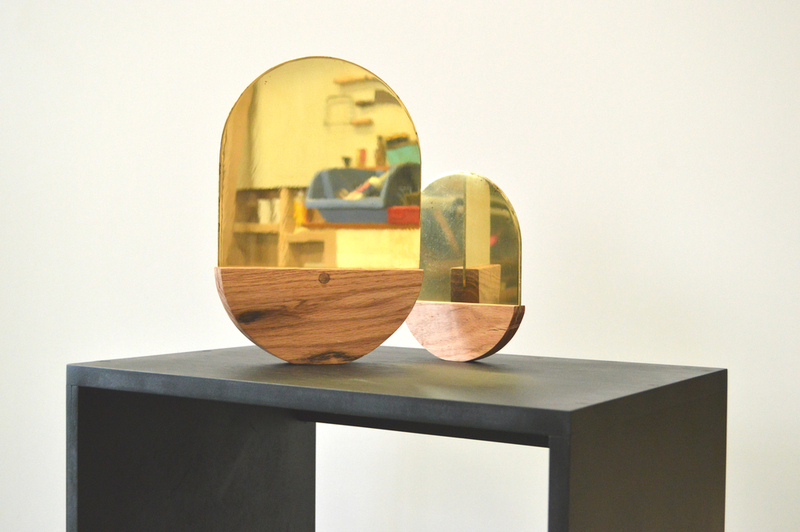 The acorn mirrors stand somewhere between an art piece and a useful object. The contrast between the aged and the polished face is reflective of nature in an industrial world. 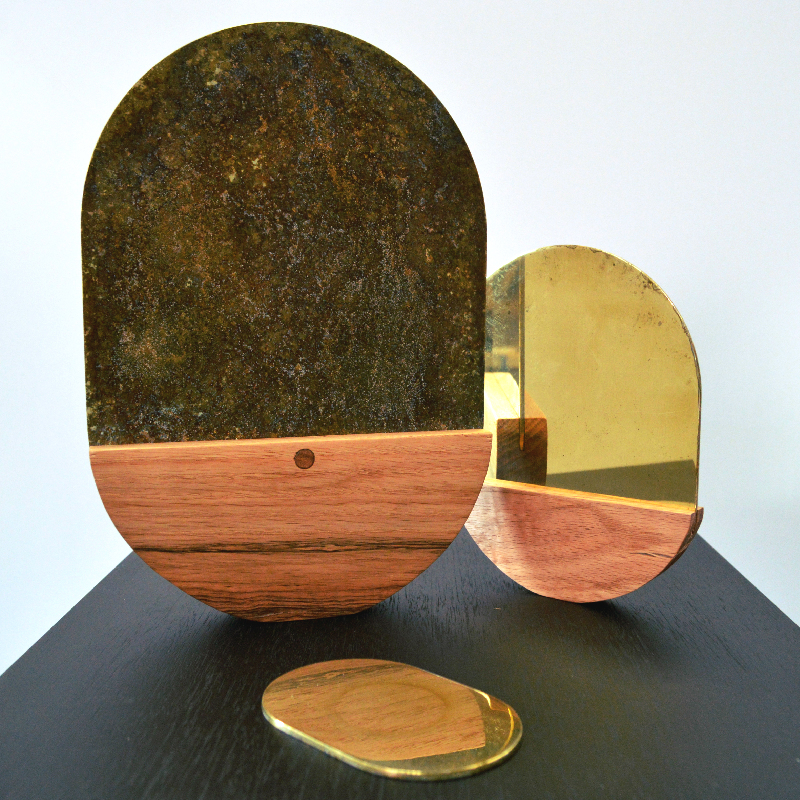 Each patina is unique making each mirror unique. For custom sizing, please get in touch.